This Sign Supply is Ideal by Itself or Displayed in a Group! Commercial Sign Supply Manufacturer! Sign Making Equipment at Wholesale Prices! Sturdy aluminum holds up long and heavy banners. Clear plastic adjustable eyelets making hanging easy. Snap open rails are convenient for easy changes. These commercial sign supplies in stock are the ideal addition to every business. The durable aluminum supports graphics in an easy-to-see way. 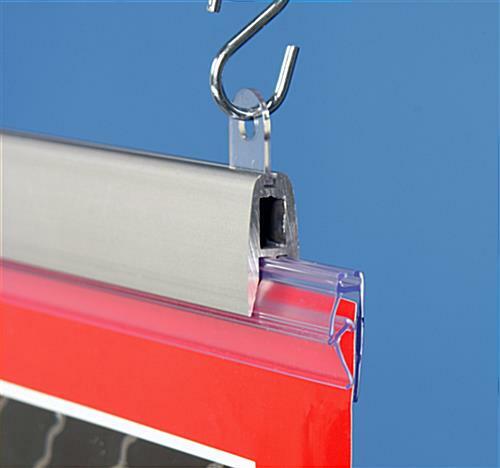 The adjustable eyelets on the top rail make it easy to find the perfect spot to hang this sign supply. Use these sign supplies in your retail or food service business to draw attention to sales, monthly specials, and upcoming events! . 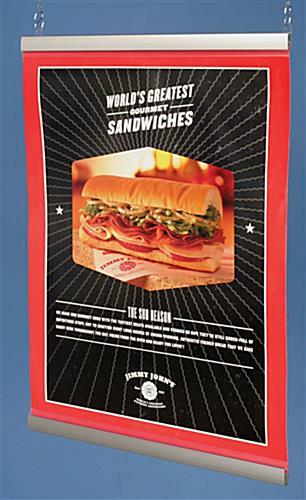 This sign supply is designed to support a 36" banner. 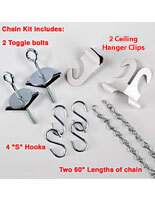 The banner hangers, sign supplies include a top and bottom rail. The bottom rail weights the lower edge of the banner to ensure an easy to see display. 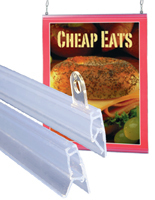 These poster rails, also called sign supplies, are constructed of rugged, rust proof aluminum. 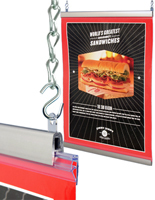 This sign holder, sign making rails, suspends from the ceiling via the clear plastic eyelets. The snap open rails make it easy to change the display. 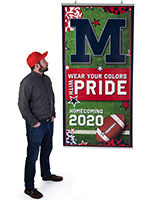 This wholesale sign supply, ready to ship banner gripper, is the perfect display on its own but may be displayed in groups to create an attractive, eye-catching series of displays. 35.0" x 1.8" x 0.5"